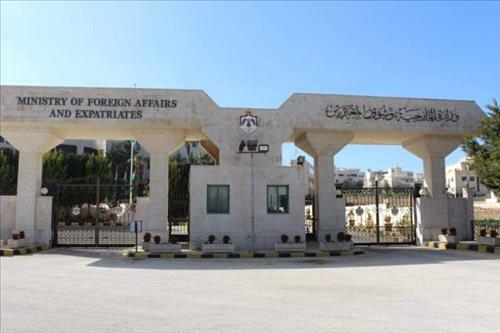 AMMONNEWS - The Ministry of Foreign Affairs and Expatriates' operation center is following up on the Syrian authorities' decision to release 8 Jordanian citizens held in Syria, the ministry's spokesperson, Sufian Qudah announced on Wednesday. "Our embassy in Damascus informed us that one of the released Jordanians went back to his family in the Syrian capital." He said two detainees were given urgent travel documents by the embassy and are on their way home, while the fourth arrived back home yesterday evening. "With regard to the remaining four citizens included in the release decision, the embassy is contacting the official Syrian authorities to complete the procedures for their release and make sure that they have the necessary official documents that will facilitate their release as soon as possible." Qudah said that the ministry has contacted the families of the released detainees and informed them of the decision, adding that the families of all detainees have no knowledge about their release. The ministry will continue contacts with the Syrian authorities through the Syrian embassy here in Amman and the Kingdom's embassy in Syria to release the remaining detainees, identify their whereabouts and enable the Jordanian embassy in Damascus to visit them in accordance with the law, he explained. According to the ministry, 30 Jordanian citizens have been apprehended since the reopening of the Jordanian-Syrian borders while 25 others were arrested before that. He said that the issue of Jordanian detainees abroad will always be apriority for the ministry which will continue following up on their cases through all diplomatic channels.